The investigation of the theft of $100,000 worth of items from a Jasper manufacturing company over a nearly 6 month period this past year ended with the Monday afternoon arrest of a Jasper man on felony charges. On Friday of last week, the Jasper Police Department was notified by Kimball Electronics of an internal theft by an employee. They say the incidents occurred from July thru December of last year. Arrested and being held in the case is 36-year old Chad Farley of jasper. 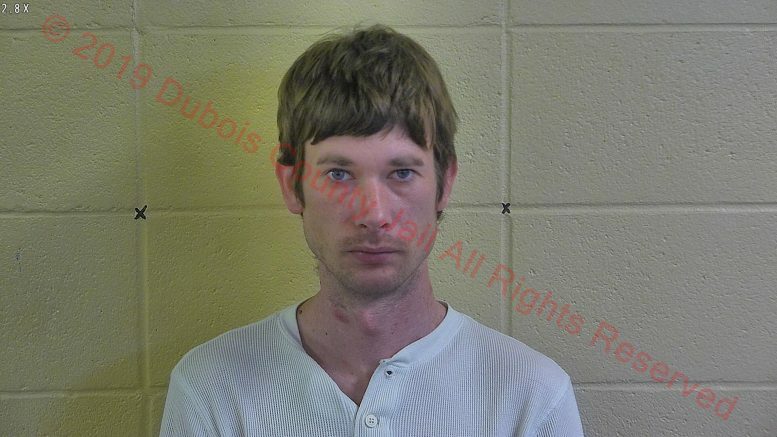 Upon further investigation from the Jasper Police Department, the Dubois County Sheriff’s Department and the Dubois County Prosecutor’s office, all items allegedly taken by Farley were located and recovered. Authorities say some specific items are currently being inventoried, and that Kimball Electronics Officials estimated the value of the stolen items at $100,000. Farley was taken into custody just before 3 pm yesterday and booked into the Dubois County Security Center on a Level 5 felony Count of Theft. Be the first to comment on "Jasper Man Arrested For Stealing $100,000 From Employer"